For thousands of years, the speed limit of transportation was no faster than Paul Revere’s famous ride in 1775. And the Pony Express quickly gave way as the steam and internal combustion engines multiplied “horsepower” for another century. But even the best locomotive was hard pressed to average 50 mph with frequent stops. A hundred years ago, two bicycle mechanics, Orville, and Wilbur Wright made a quantum leap in transportation and added another dimension: altitude. They combined a small engine with their latest glider design. By the toss of a coin, on December 17, 1903, Orville Wright became the first man to fly under power and control. Aeronautical engineers use a concept called the “flight envelope” to measure aircraft performance. It is simply a graph with altitude on the vertical axis and speed on the horizontal. In 1903, the flight envelope of the Wright Flyer was a few dozen feet and just 10 mph. And the distance of that first flight was less than the wingspan of a Boeing 747! The bi-plane fighters of World War I were flying at 100 mph over 10,000 ft. By 1944 during WW II, the piston engine Mustang could fly at 400 mph and climb to 30,000 ft. Shortly after Chuck Yeager jump-started the flight envelope to supersonic in 1947, the 1950’s F-8 Crusader was capable of over 1000 mph and altitudes to 50,000 feet. 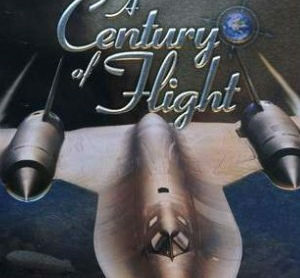 The US recently retired the fastest non-rocket airplane. The Lockheed SR- 71 spy plane developed by Kelly Johnson in the 1960s was “officially” listed at over 2000 mph above 80,000 feet. This does not even mention the space program and landing men on the moon in 1969. A similar pattern emerged with the civilian flight envelope. Following World War I, Army surplus open- cockpit Jenny bi-planes became available to “barnstormers”. These traveling salesmen of aviation winged across the country performing air shows and sharing airplane rides. In 1927, Charles Lindbergh, also a former barnstormer, crossed the Atlantic averaging about 100 mph for 33 hours. Lindbergh’s flight to Paris inspired and propelled aviation. No longer would flying be limited to the few who landed in fields and slept under the wing. Cities began building airports, and there were dozens of companies manufacturing aircraft of every description. The 1930s have been called the “golden age” of aviation. Before World War II, many individuals owned airplanes for both business and pleasure. And for the last time in the early 1930s, a civilian could buy a Beechcraft Staggerwing that had performance equal to the military planes of the day. The 1930s also saw the airline industry evolve from the red ink of the 100 mph Ford tri-motor to a profitable industry with the 200 mph DC-3. While not pressurized, the DC-3 was a milestone in commercial aviation with modern engine and instrument technology. This connected the continent and allowed flights in inclement weather and routes across the Rocky Mountains. The benefits of WWII wartime aeronautical engineering brought the pressurized DC-7s and Constellations that could fly passengers in comfort above 20,000 ft and at 300 mph. When the jet-powered Boeing 707 joined the airline industry in the late 1950s that flight envelope doubled to 40,000 and 600 mph. For several decades, the magnificent Concorde again doubled the speed of civilian air travel to 1500 mph. Unfortunately, maintenance issues and the enormous fuel consumption have recently forced the Concorde into retirement. When on my 18th birthday I earned a private pilot’s license. This century of flight has opened the planet with affordable worldwide transportation. A hundred years ago, a hot and dusty passenger train might cross the Dakotas in a day. Now in less time, a Boeing 747 can fly 300 passengers in comfort above most weather to navigate continents and connect cultures.